Asked about the Prespa naming agreement, 65 percent of respondents were opposed, and 17 percent were in favour. Five percent said the issue did not concern them, and 13 percent said they were neither for or against. A new survey conducted by the Public Issue polling company shows that a large majority of respondents are negative toward the Greece-FYROM Prespa Agreement and about Greek-Turkish relations. 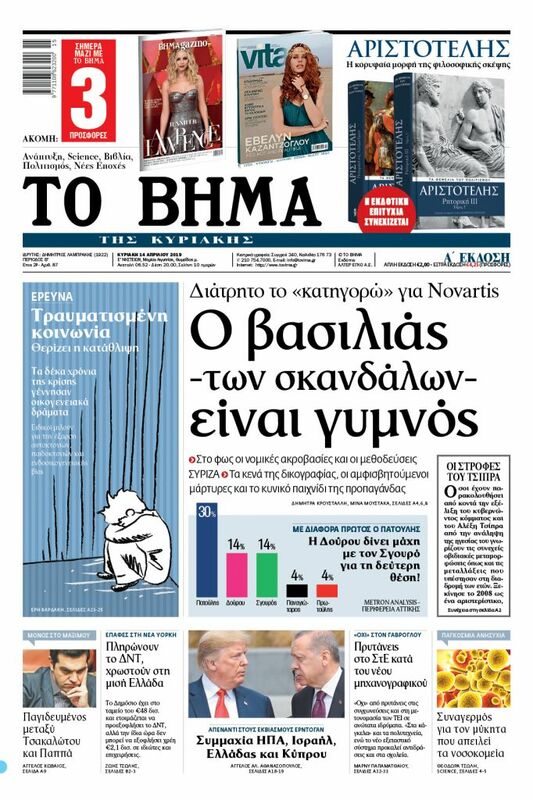 Former foreign minister Nikos Kotzias’ ratings have dropped (60 percent negative and 33 percent positive) and the views of FYROM Prime Minister Zoran Zaev are mostly negative. Regarding Zaev, 53 percent of respondents had a negative view, and only 28 percent were positive. Asked if Greek-Turkish relations have improved or deteriorated, the result was similar to that one year before – 52 percent said they have deteriorated, 44 percent said that they have not changed, and only two percent saw an improvement. In an unusual move, the poll also solicited respondents’ view of US Ambassador to Athens Geoffrey Pyatt. Here, 29 percent said their view was positive, and 31 percent were negative.